Winter weather advisory for county until 10 a.m. 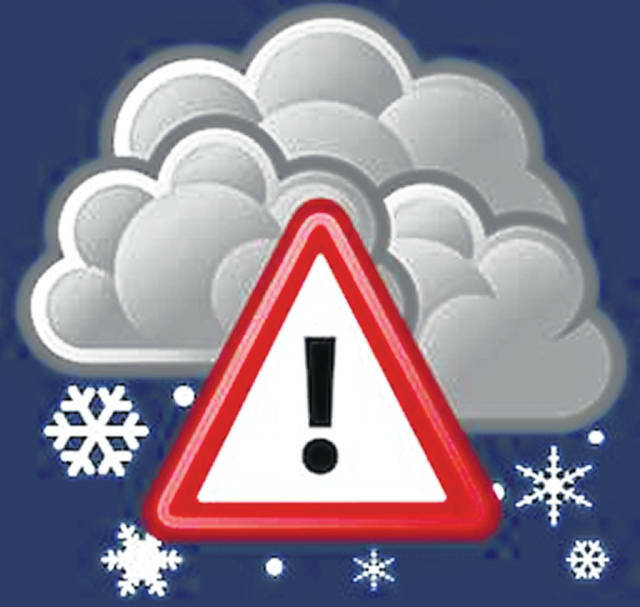 Residents of Fayette County should prepare for another wet and cold morning after the possibility of several inches of snow accumulating overnight. According to weather.com, the National Weather Service placed a winter weather advisory on Fayette County overnight Thursday until 10 a.m. Friday due to an expected mixed precipitation that could result in one to three inches of snow and ice accumulation. The forecast calls for a 29 degree high and a 22 degree low for Friday, and the National Weather Service said in its press release to expect slippery roads and limited visibility at times. Currently the forecast shows an increase in temperature for the county over the next four days. Starting Saturday, weather.com is predicting temperatures rising to 44 degrees (with a 36 degree low) with minimal precipitation. On Sunday temperatures should rise even further to a 54 degree high and stay above 41 degrees as the low. Sunday should also have clear, sunny skies with a few clouds forming at night. Finally, Dayton, Power & Light reported no electrical outages in Fayette County throughout the cold days Wednesday and Thursday, but continue to monitor the situation with the approaching snow. Stay with the Record-Herald for more coverage of winter weather in Fayette County.